Point-of-sale (POS) systems are essential to businesses ranging from retail to hospitality. 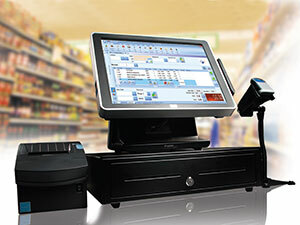 We offer POS software development and integration with other back-office solutions. In addition we can also develop custom modules for existing POS systems. Additional functionality may include price and inventory control, financial modules, warehouse connectivity, integration with accounting software, customer loyalty programs, payment gateway integration, credit card processing, barcode scanning, etc. In the recent years, more and more businesses are choosing web-based POS systems. These cloud-based solutions are accessed via a web-browser and require very little maintenance and support. If you are interesting in moving your POS system to the cloud, we are here to help you transition to the latest technology.